This project is from a really cute book I picked up at the library, Boutique Knits. 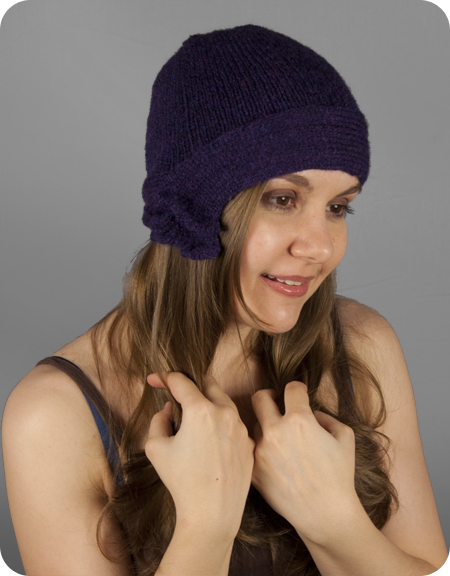 This is the cover pattern, the Side Slip Cloche. The whole book is filled with some really adorable patterns, so I would suggest it to anyone else who enjoys this style! Categories: Reviews | Tags: alpaca, baby, book, boutique, cloche, edge, hat, knit, knitting, lima, pattern, purple, review, rowan, ruffle | Permalink.